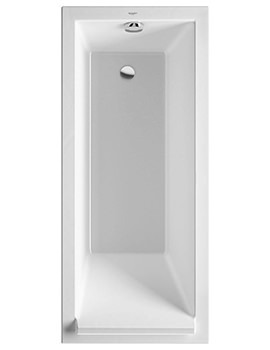 Now, add the latest rectangular bath from Duravit Starck range which has been eponymously named after its designer, Philippe Starck, and be assured of a luxury bath every day. The generous size lets you slip into the tub and enjoy a long soak with all your senses invigorated. Its form and shape goad you into surrendering to its seductive charms. 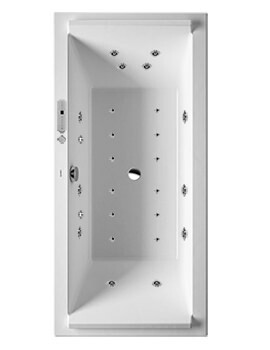 The double ended aspect lets you share the bath with another user and recline against two comfortable backrest slopes. 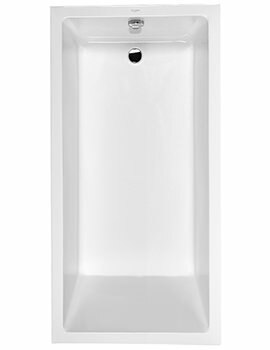 It is crafted from white finished sanitary acrylic which repels dirt and thus ensures effortless cleaning. 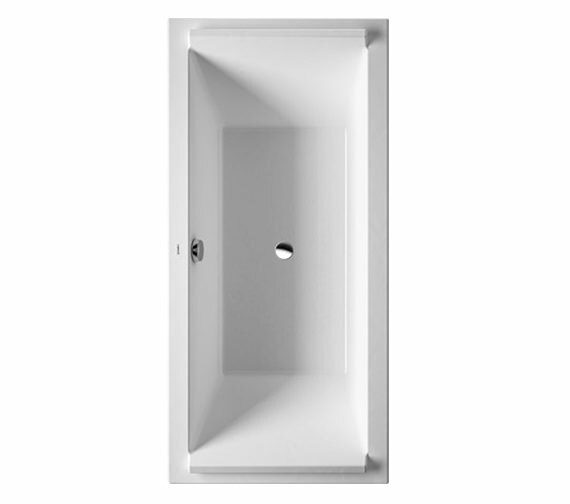 The acrylic material is also durable and long lasting so you get a good looking bath throughout its lifespan. 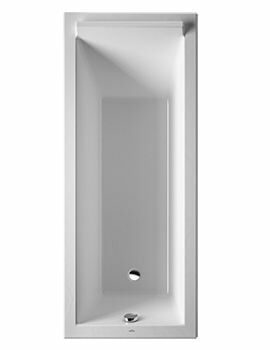 Note: Support frame is not necessary in combination with Styrene Support Box and LED coloured light # 790840 or sound # 791851 With Chrome Waste and overflow, with base inlet, pipe interrupt is mandatory, connection hose # 790166 is recommended. For Quadroval Waste and overflow with water inlet, connection hose # 790159 is recommended. 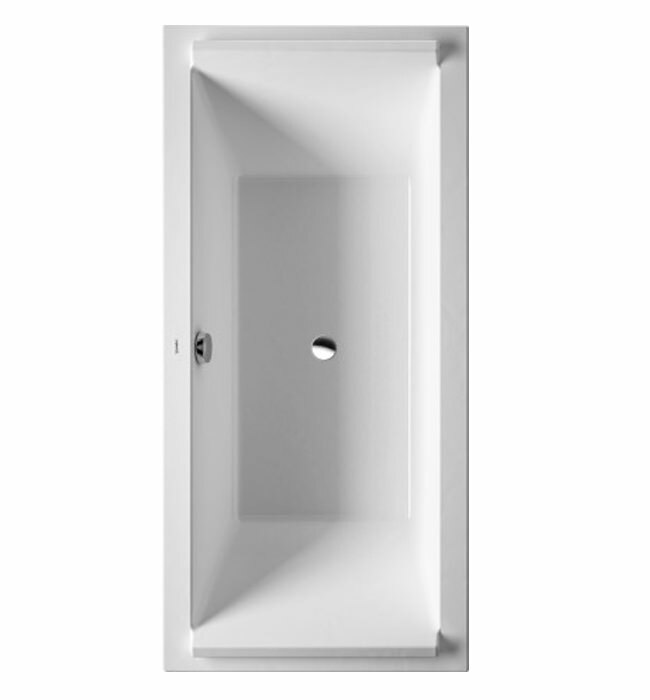 Styrene support box is not suitable for bathtubs with LED coloured light or sound. The noise reduction set cannot be mounted together with a polystyrene support. 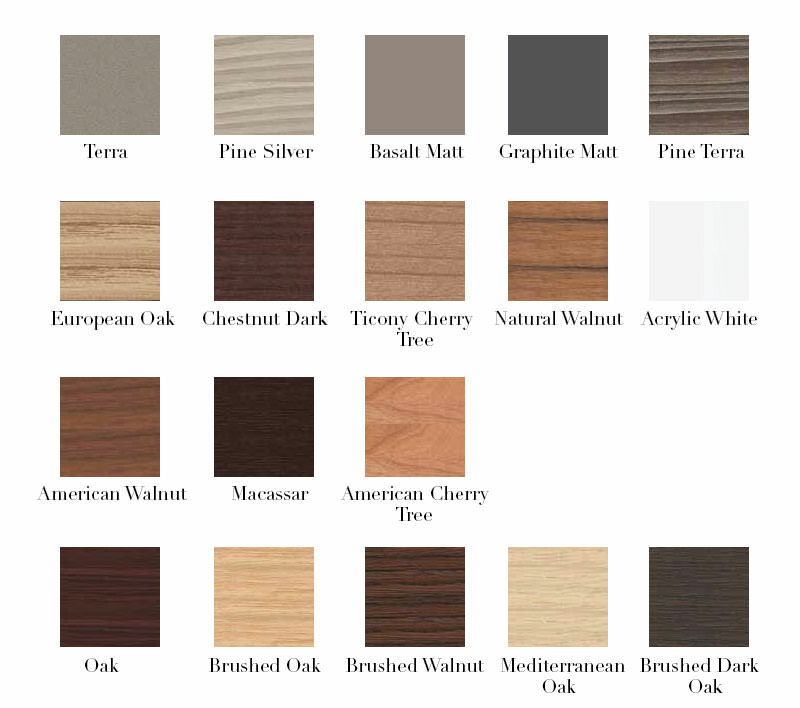 Bath panels are available in different positions and finishes as listed below. Select the appropriate options from the list. Please Note: Image shown is for illustration purpose only. 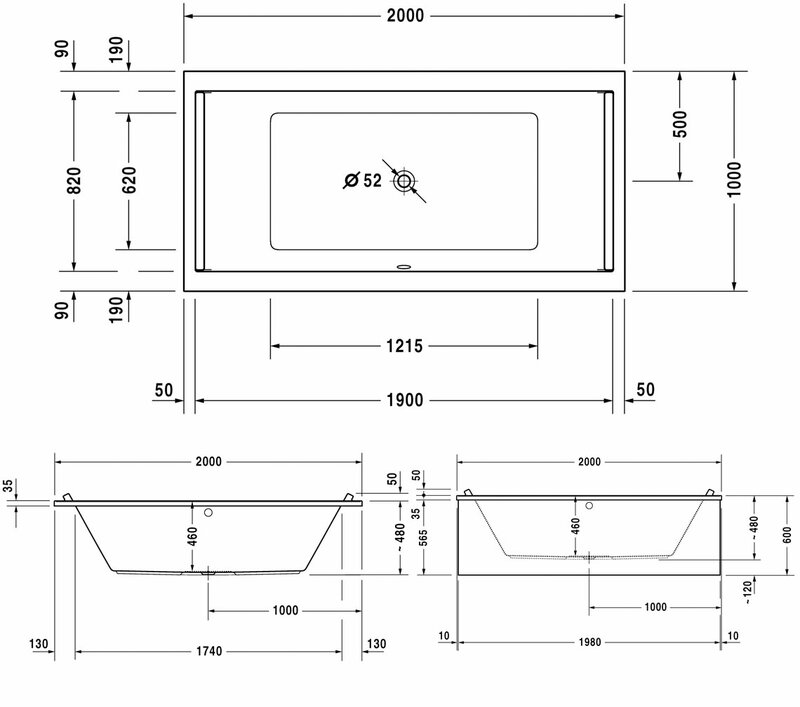 Acrylic panel is available with multiple selection for front and end panel. If acrylic panel is selected, furniture panel is not required. Please Note: Image shown is for illustration purpose only.